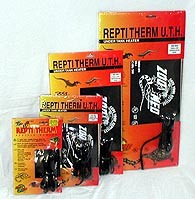 Ideal under tank type heater for heating reptile, amphibian, small animal, or plant terrariums. Safe and accurate nichrome heating element. Full one year warranty.